The Champions League Final was a huge success – so why are Ukrainians complaining about litter? As the dust settled on the Champions League Final, social media was flooded with comments from fans of both teams expressing delight and gratitude for their unforgettable experiences in Ukraine. “I only want to say that I’ve got nothing but love for the city and people of Kyiv!” wrote Real Madrid fan Felipe Cortez. Despite losing the final 1-3, Liverpool fans were no less effusive in their praise. 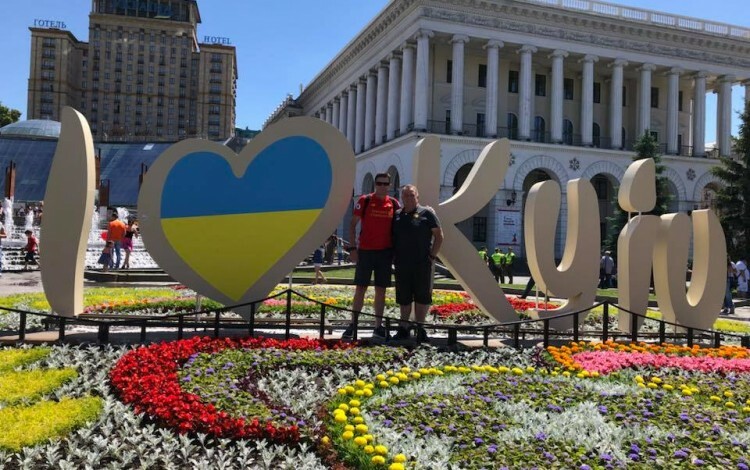 Keith Edwards spoke for many when he wrote: “Whilst the result was so disappointing for my beloved Liverpool, the great times we have had in Kyiv experiencing your friendliness and hospitality was wonderful and we have arrived home with lifetime memories that has soothed our football pain.” This overwhelmingly positive grassroots verdict of Ukraine’s Champions League efforts tallied with the official assessment. UEFA president Aleksander Ceferin lauded Kyiv for “fantastic organization”, and said the Ukrainian capital “did not make a single mistake”. 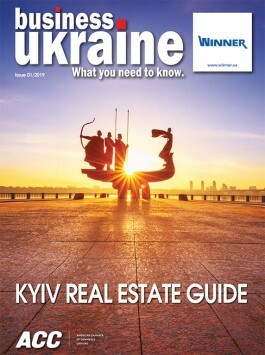 Is Kyiv celebrating this unprecedented international recognition of a job well done? Not at all. While English-language users gush over the incredible time they had in the Ukrainian capital, Ukrainian social media is full of posts complaining about litter. Videos of Shevchenko Park in a state of disarray are particularly popular. These posts are generally accompanied by withering commentaries over the failure of the Ukrainian authorities to prepare adequately, or suggestions that it was a stupid idea to hold the Champions League Final in Kyiv in the first place. The visiting fans are branded as savages and the organizers dismissed as incompetent clowns. It would be comforting to imagine that this negative reaction was manufactured entirely by Kremlin trolls whose job it is to demoralize and depress Ukrainians. Unfortunately, that is not the case. In reality, this is the latest example of Ukraine’s debilitating national habit of casting everything in the worst possible light. East European culture in general is famed for its fatalism, and Ukrainians are arguably the masters of the genre. Ask a Ukrainian for their opinion on absolutely anything to do with their country, and it is likely you will receive a negative response. If you ask two Ukrainians, there is a strong chance the second will tell you the situation is far worse. It is not hard to imagine how Ukrainians became the kings of negativity. After all, with a history as tragic as Ukraine’s, only a fool or a criminal would be an optimist. This is a country that was repeatedly partitioned by Poland, the traditional whipping boy of European partitions. Ukraine was the epicenter of twentieth century totalitarianism and the scene of both Hitler and Stalin’s worst crimes against humanity. More recently, it has been a laboratory for fake news and information warfare since long before the subjects became fashionable, leading to the amplification of existing public skepticism to grotesque proportions. In a world where things often do work out badly, this embrace of the negative is no doubt comforting. However, it is also a self-fulfilling prophecy. It allows Ukrainians to passively accept the status quo as inevitable while robbing any efforts to change the situation of the requisite momentum. If enough people are convinced that a particular reform or ambitious project will not succeed, there is a very good chance that it won’t. All this also has very real consequences for how Ukraine is viewed by the international community. Journalists who visit Ukraine cannot be blamed for focusing on negative themes if that is what they most often encounter when talking to Ukrainians. Likewise, investors on fact-finding missions to the country are hardly likely to be encouraged by the endless negative assessments they hear from members of the Ukrainian business community who are seeking to present themselves as knowledgeable realists. If Ukrainians have nothing good to say about their country, why should anyone else? The embrace of negativity is closely tied to Ukraine’s other great national pastime – the hunt for betrayal. Ever since the 2014 Revolution of Dignity and the start of Russia’s invasion, this obsession with betrayal has reached new heights. Everything taking place in the political arena is scrutinized for indications of treason, while virtually every single individual politician has been branded at one point or another as an agent of the Kremlin. In the context of Ukraine’s undeclared war with Russia, such suspicions are understandable. Nevertheless, Ukrainians desperately need to find a better balance between healthy skepticism and paranoid defeatism. It is true that betrayal has been a major theme throughout Ukrainian history, but the biggest betrayal of all is the refusal to recognize Ukraine’s many positives. Foreigners visiting Ukraine for the Champions League Final were overwhelmed to discover such a friendly, beautiful and exciting country. It would help if Ukrainians also noticed. Instead of spending all their time hunting for thorns, they should allow themselves to enjoy the roses.